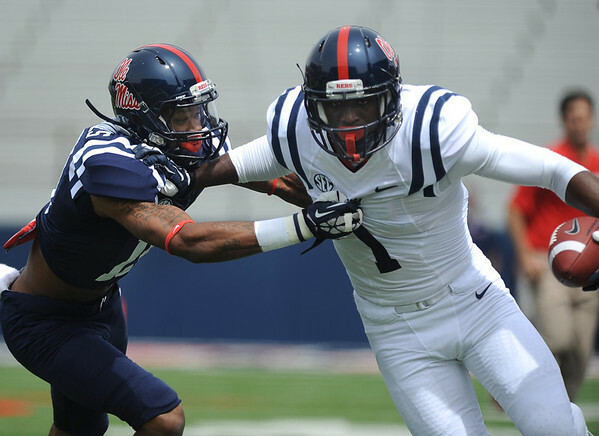 Ole Miss receiver Laquon Treadwell, right, tries to fend off defensive back Derrick Jones during Saturday's Grove Bowl in Oxford. 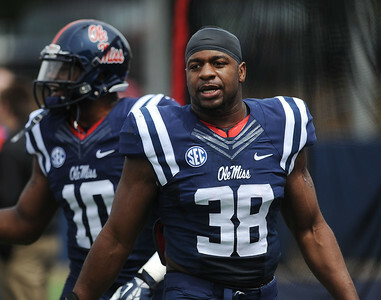 Ole Miss linebacker/defensive end Deterrian Shackleford sports the #38 jersey during Saturday's Grove Bowl in Oxford after being named the Chucky Mullins Courage Award winner earlier in the day. 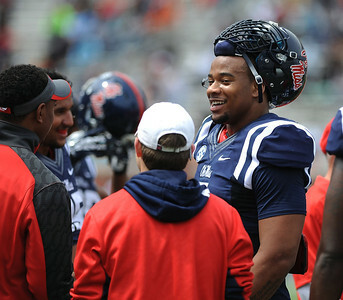 Ole Miss defensive lineman Robert Nkemdiche takes a break during Saturday's Grove Bowl in Oxford. 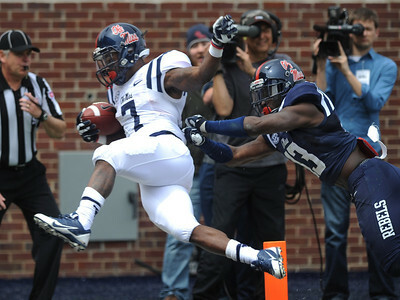 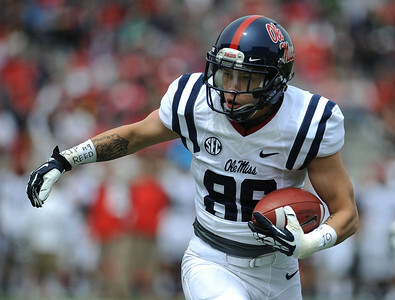 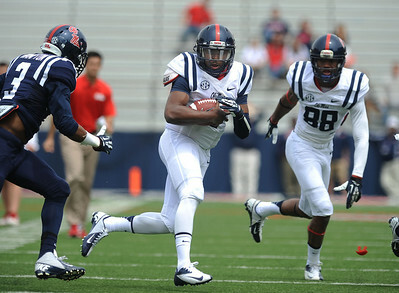 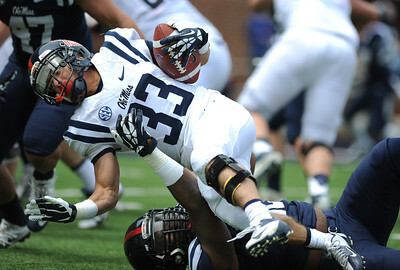 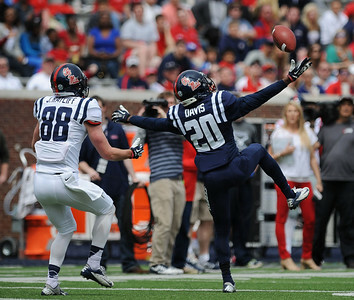 Ole Miss receiver Jordan Gallegos gains yardage during Saturday's Grove Bowl in Oxford. 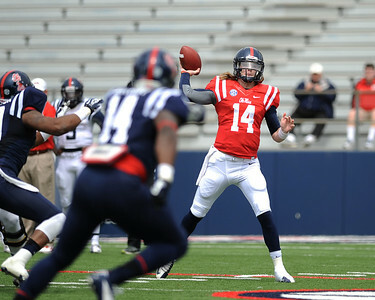 Ole Miss quarterback Bo Wallace throws a pass during Saturday's Grove Bowl. 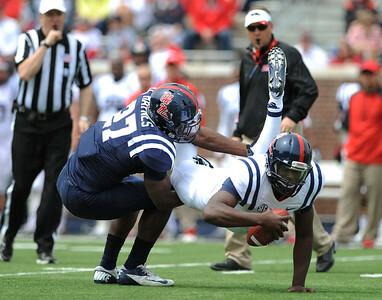 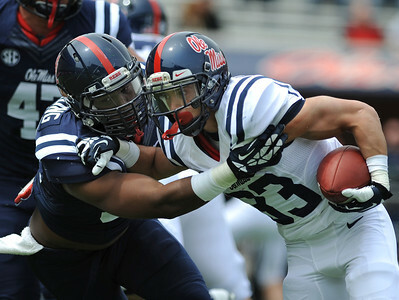 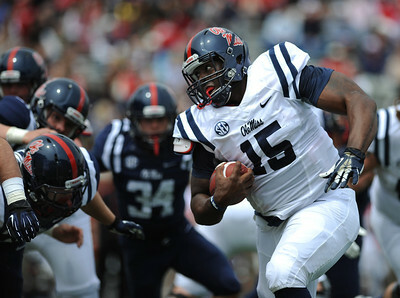 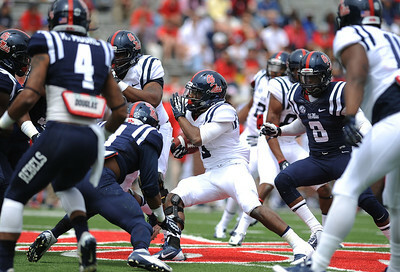 Ole Miss quarterback Kendrick Doss tries to elude the defense during Saturday's Grove Bowl. 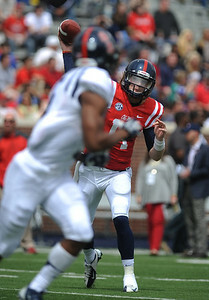 Ole Miss quarterback DeVante Kincade keeps for yardage during Saturday's Grove Bowl. 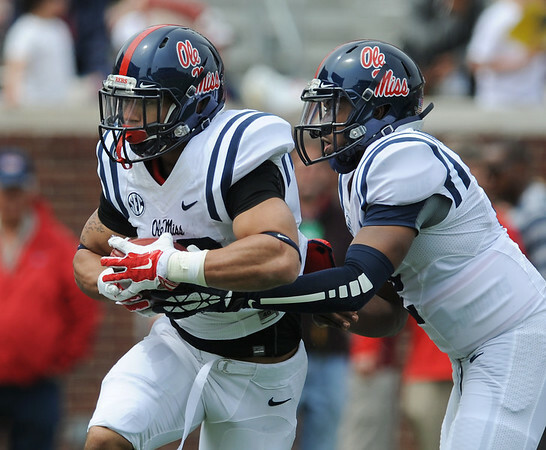 Ole Miss defensive back Carlos Davis, right, breaks up a pass intended for wide receiver John Ratliff during Saturday's Grove Bowl. 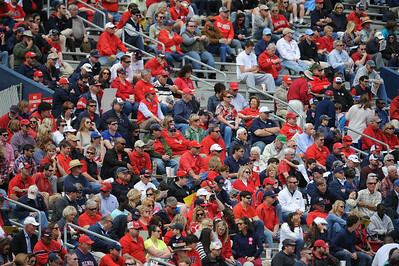 Beautiful weather greeted Ole Miss fans at Vaught-Hemingway in Oxford on Saturday during the annual Grove Bowl. 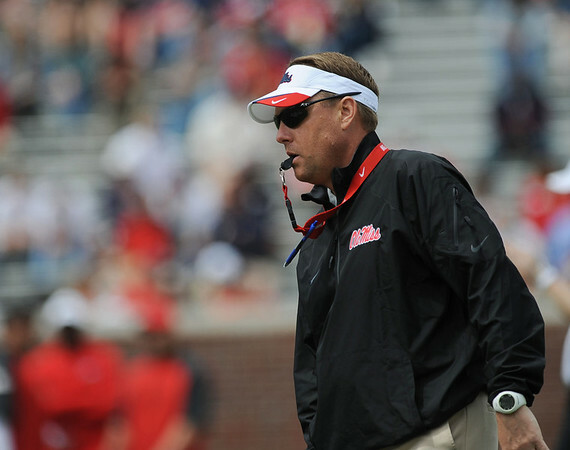 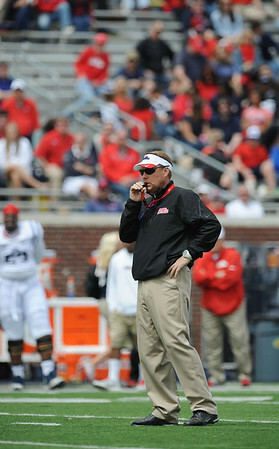 Ole Miss Head Coach Hugh Freeze directs action on the field during Saturday's Grove Bowl.